You transfer your assets to your children and pay the estate tax if your estate is large enough to incur taxation. Your children then pass the assets onto their children and pay the estate tax again if their estates are large enough to incur taxation. When you skip a generation, your children do not first take title to the assets, so you avoid that estate tax. While skipping a generation will not be preferable in every situation, it can be beneficial if your children already have substantial assets of their own and do not necessarily need to inherit from you. You can also provide that the trust assets will skip a generation but that the trust income or discretionary distributions of principal will go to your children, which still provides financial benefits for them. In addition, by retaining assets in trust rather than giving it to children outright, the assets are protected from their creditors. In the 1980’s, the federal government addressed the apparent loophole of a generation-skipping trust and imposed a generation-skipping transfer tax. The Tax Cuts and Jobs Act of 2017 raised the exemption to approximately $11.2 million for a single individual or $22.4 million for married couples, which will increase with inflation until 2026. There is no telling what will happen when the law expires in 2026, however. For wealthier families, this period until 2026 may provide a unique window to engage in large scale, intergenerational transfers of wealth with little to no estate, gift, or generation-skipping transfer taxes. A generation-skipping trust is certainly not right for every situation. There may be other types of trust and tax-planning tools that may benefit your specific financial and family circumstances more. The best way to know what’s right for you is to consult with an experienced estate planning attorney who understands all relevant federal and state laws, including the ongoing changes to these laws. 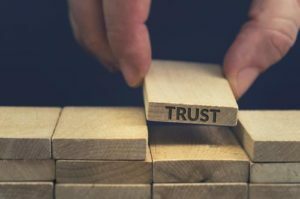 For more information about how a generation-skipping trust may be helpful in your unique circumstances, you should contact the experienced lawyers at Goldfarb Abrandt Salzman & Kutzin LLP. To schedule a consultation and case evaluation with a New York estate planning attorney, please call us at (212) 387-8400, or contact us online.